We appreciate that you trust us when you provide us with your information. Protection of information is our top priority because we want to keep your trust. We design all of our products and services with data protection in mind. We work hard to keep your information secure. We have staff dedicated to keeping your information safe and secure. We constantly update our security practices and invest in our security efforts to enhance your privacy. The data controller for the information you provide or that we collect on SikhNet.com is SikhNet, Inc. a New Mexico USA based not-for-profit company. Our office is located at 1A Ram Das Guru Place, Espanola, NM 897532, USA. This site makes chat rooms, forums, message boards, and/or news groups available to its users. Please remember that any information that is disclosed in these areas becomes public information and you should exercise caution when deciding to disclose your personal information. Sikhnet is not responsible for the loss, misuse, or alteration of any personal information you disclose in public forums. SikhNet is not responsible for interactions that happen between users through the chat room, discussion forum, or Matrimonial ads, both online and offline. 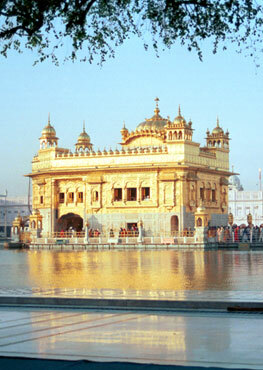 Sikhnet will never give out user information regardless of the situation unless obligated by law. When you create an account, you provide us with at least a user name and password, business information, such as name, business name, business address, email address, business phone number and any other information that you provide us. When you make a donation, you provide us or the payment processor with payment information, such as your debit or credit card number. If you contact our customer service team, we collect the information you give us during the interaction. We collect information about your activity on the Services, such as features you use through our server logs. A server log is a list of the activities that a server performs. SikhNet’ servers automatically collect and store in server logs your search queries, Internet Protocol (IP) address, browser type and language, time zones, the date and time of your request and referral URL and certain cookies that identify your browser or SikhNet account. information on your wireless and mobile network connection, like your internet vendor and signal strength. We may link personal data and Usage Data or different types of Usage Data. We also may link publicly-available personal data, such as personal data available in public databases. If the linked information may identify an individual person, we treat it as personal data. We collect other information when you give us permission at the time of collection, such as when you choose to participate in a SikhNet Customer Survey. Cookies are small text files that are sent to or accessed from your web browser or your computer's hard drive. A cookie typically contains the name of the domain (internet location) from which the cookie originated, the "lifetime" of the cookie (i.e., when it expires) and a randomly generated unique number or similar identifier. A cookie also may contain information about your computer, such as user settings, browsing history and activities conducted while using the Services. A web beacon (also called a pixel tag or clear GIF) is a piece of computer code that enables us to monitor user activity and website traffic. To learn more about cookies and web beacons, visit www.allaboutcookies.org. How We Use Data Collection Technology: Data Collection Technology helps us improve your experience of the Services by, for example, storing your website language preferences, so you do not have to select it each time you use the Services, compiling statistics about use of the Services, helping us analyze technical and navigational information about the Services, and detecting and preventing fraud. We also use Google Analytics which is a Google service that uses Data Collection Technology to collect anonymous information about use of the Services and report website trends. Your Control of Cookies: Some web browsers (including some mobile web browsers) provide settings that allow you to control or reject cookies or to alert you when a cookie is placed on your Device. You also may be able to reject Device identifiers by activating the appropriate setting on your Device. Although you are not required to accept cookies or mobile device identifiers, if you block or reject them, you may not have access to all features available through the Services. Our Statement On Do Not Track Signals: Some web browsers (including Safari, Internet Explorer, Firefox, and Chrome) incorporate a "Do Not Track" ("DNT") or similar feature that signals to websites that a user does not want to have his or her online activity and behavior tracked. If a website that responds to a particular DNT signal receives the DNT signal, the browser can block that website from collecting certain personal data about the browser’s user. Not all browsers offer a DNT option, and DNT signals are not yet uniform. For this reason, many website operators, including SikhNet, do not respond to DNT signals. To improve the performance and reliability of our products and services using information collected through SikhNet surveys and polls. Provide our service to you: Most of the time, the reason we process your information is to perform the contract that you have with us to use the Services. Legitimate interests: We may use your information when we have legitimate interests to do so. For instance, we analyze users’ behavior on the Services to continuously improve our offerings, market our new products and features, and process information for administrative, fraud detection and legal purposes. 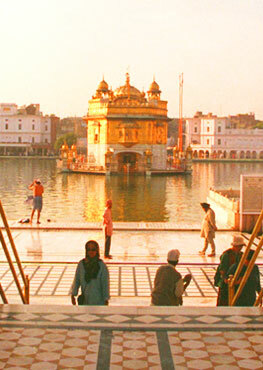 When Required by Law: Applicable law may require SikhNet to disclose your personal data if: (i) reasonably necessary to comply with legal process (such as a court order, subpoena or search warrant), government investigation or other legal requirements or (ii) necessary for the prevention or detection of crime (subject in each case to applicable law). Other Lawful Disclosures: We also share information if (i) disclosure would mitigate SikhNet’s liability in an actual or threatened lawsuit; (ii) as necessary to protect legal rights of SikhNet, users, customers, vendors, business partners or other interested parties; (iii) to pursue available remedies or limit the damages; (iv) to enforce our agreements; and (v) to respond to an emergency. SikhNet may aggregate information collected through the Services and remove identifiers so that the information no longer identifies or can be used to directly identify an individual ("Aggregated Information"). SikhNet does not share Aggregated Information with third parties. The right to know what personal data we hold about you: If you would like to know the personal data that SikhNet maintains about you, please contact us in writing using the contact information below. If you are a registered user, you can review certain personal data that you provided to SikhNet by logging in to your account. If you are not a registered user, SikhNet may take reasonable steps to verify your identity before providing access to personal data. The right to correct or delete personal data: The easiest way to correct or delete certain personal data that you have provided to the Services is to log in to your account and enter the necessary changes in your profile settings. If you have additional questions regarding the correction or deletion of the personal data we hold about you, please contact us using the contact information below. We may reject requests for certain reasons, including if the request is unlawful or if it may infringe on trade secrets or intellectual property or privacy rights of a third party. Accountability. In certain countries, including in the European Union, you have a right to lodge a complaint with the appropriate data protection authority if you have concerns about how we process your personal data. SikhNet Emails. If you do not wish to receive certain emails from us, please click the unsubscribe link which appears at the bottom of all our emails in order to unsubscribe or manage your email preferences. We take precautions intended to help protect personal data that we collect and store. For example, we protect the information transmitted from your browser to the Services using Secure Sockets Layer (SSL) software or similar encryption technology. Any transmission is at your own risk. We expect that you will use appropriate security measures to protect your information. We keep your personal data only as long as we need it for legitimate business purposes and as permitted by applicable law. In practice, this means that we delete or anonymize your account after three (3) years of continuous inactivity unless we must keep it to comply with applicable law; because an issue, claim or dispute has not yet been resolved; or the information must be kept for our legitimate business interests, such as fraud prevention and enhancing users' safety and security. Please note that, although our systems are designed to carry out data deletion processes, we cannot promise that deletion will occur within a specific time frame due to technical constraints. Consistent with the requirements of the Children’s Online Privacy Protection Act, if we learn that we have received any personal information directly from a child under age 13 without his or her parent’s verified consent, we will use that information only to respond directly to that child (or his or her parent or legal guardian) to inform the child that he or she cannot use the Services. If you have additional questions, please contact our Customer Support service at [email protected].